6.Reduce your stress load by supplying the best affordable dental equipment along with a reliable service support network. 7.Long term partnership with you as we know you are just not a number and we understand your business is unique just like ours . Supplying the best quality dental equipment in Australia at an affordable solution to our clients. We supply an in-house installation service team Guaranteeing fast & reliable equipment service with a 1 hour response time for urgent breakdowns. *subject to terms and conditions.. Developing a positive partnership with dentplex at the time of developing or renovating a practice is the key to a seamless and successful partnership practice for many years to come. Our in-house service technician are trained and think outside the square to solve any problems and even can arrange after hours and weekends appointments if required. All of our staff are trained with on going technical training course yearly ,Their Skilled and their qualified and are a wealth of information,Were friendly and happy to assist for support on dental equipment assistants or dental equipment repair services . To avoid breakdowns dentplex offers a cost effective preventative maintenance program taylor for your surgery. This is aimed at avoiding the breakdowns occurring in the first place. Your rewards are not just a financial rewards, you're avoiding expensive equipment downtime and reducing stress level giving you more time to focus on your daily running of your surgery. We go to greater length to ensure our products exceed our customer’s expectation with regards to quality, value, durability and performance and supply a great after sales support team to meet your needs. Please contact our office to make an appointment to visit our showroom, or to place an order. VITALI began its business in 1953 and soon stood out for its reliability, innovation and care for the client. 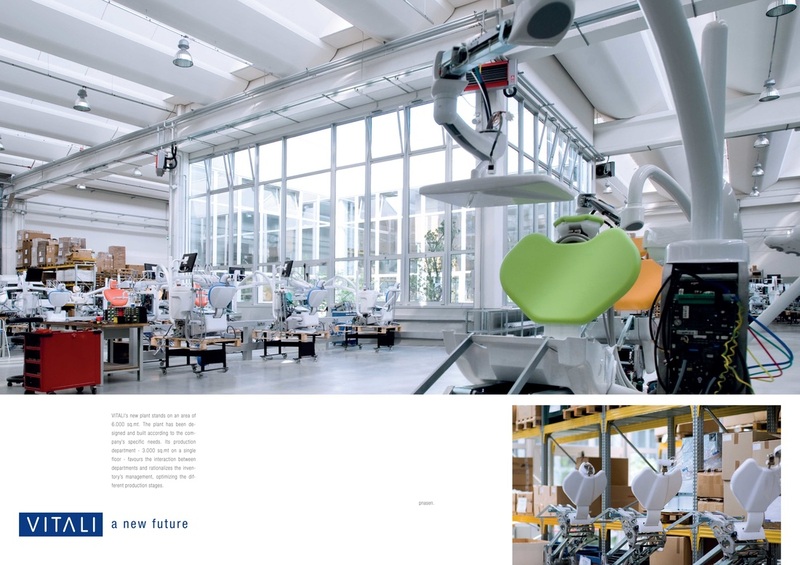 VITALI moved to its new and larger plant in Bentivoglio in Jan 2009, near Bologna, to optimize its production cycle and to provide an even more accurate service. A new plant, a new identity a new future. Vitali dental unit added benefits of digital technology in the product that expresses the best of Vitali's quality, functionality and design. Vitali combines all the quality and reliability built in its products and offers very high functionality, starting right from its basic configuration.